We service all of central Dublin and north county Dublin areas. 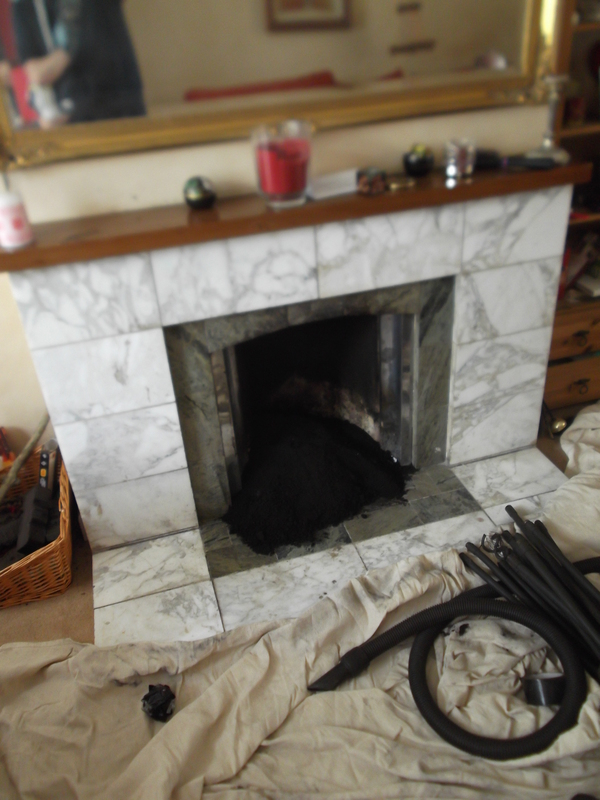 We always offer a very clean service, €50 charge per single fireplace, €80 for two fireplaces. We ensure that each fireplace is completed sealed to prevent dust spreading throughout your house. You can be confident we will leave your room in the exact same condition. There are 3000 chimney fires in Ireland per year alone. Do take the risk. Cleaning your chimney is an easy way to prevent fires and ensure your safety. 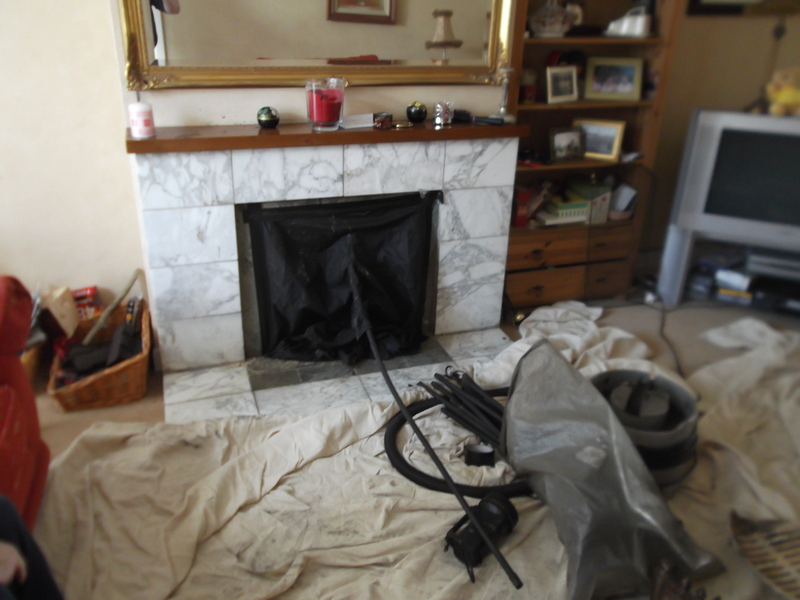 We ensure that all fireplaces are fully sealed to prevent dust spreading around your house. Our service is quick and professional and is normally completed in less than 1 hour. Give us a call today to book an apppointment. Having a dirty chimney is one of the main causes of chimney fires. The following photo shows 2 years worth of soot removed from a recent job. This was a fire waiting to happen. Don’t take any chances, give us a call today. Owen arrived on time and did a very clean, neat job. Very happy with the quality of the work and would definitely recommend. Owen was professional, reliable and did a fast and efficient job - would highly recommend! I received immediate, helpful, and friendly support from Northside Chimney Sweep-All Dublin which was most appreciated. Thank you very much. I can highly recommend this service.